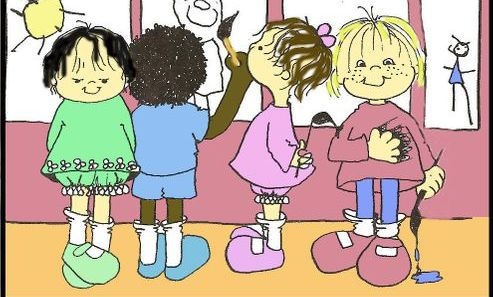 Welcome to the Tiny Tots PRESCHOOL Website! Browse as we continue to update the site with new information! General registration for our Preschool begins January 1st. Preregistration begins December 1st for all children currently enrolled in our preschool program, as well as siblings. We hold an OPEN HOUSE throughout the school year . This is an opportunity for your child to meet our teachers and visit our classroom. However, you may visit us at any time. You are always welcome! Tiny Tots Preschool enrolls throughout the school year and your child may join our classroom when he/she turn 2.9 by the time they begin school, unless we have full enrollment. We generally do not accept children after February 1st. Go to our Registration link for more information on days and times for our PRESCHOOL. *** Prices on our registration link are not current. Click on ABOUT US for 2019/2020 prices.